I have been practicing in writing stories and drawing manga since I was young however it will always be a challenge to write a story that is brief and without any single dialogue. This is the challenge I want to try on this project. Story telling is the essential element that determine how good is the game and how it can engage the player to play. Therefore I research some references that can be helpful. 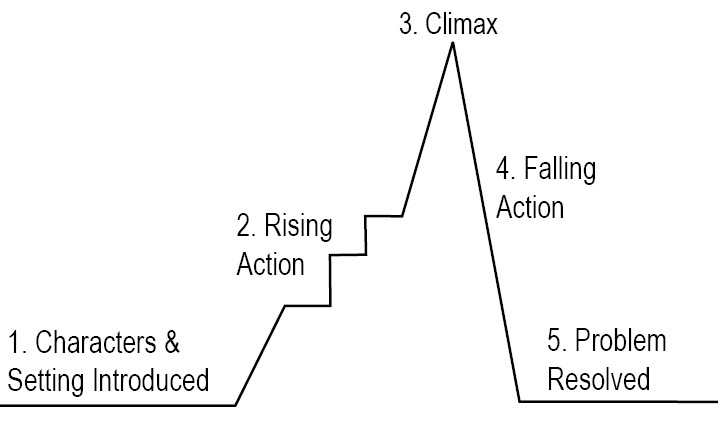 I learnt story flow in class before which this keeps remind me the very basic format of a narrative. I am going for emotional story so this format is a good start to develop it. Before I step deeper in this format, I have to learn the mechanism and concept of an emotional story. Humans have emotion therefore people always find related and feel empathy when real life stories are told even in virtual space. Example like The Last Of Us, player gets emotional sensation when the character is fighting for friends and family and player even feel sad when seeing the character suffers from loses. We might not encounter zombies apocalypse like the game is however things like friends and families, diseases, death and being a victim can somehow tickle their heart and get related to. Another fact is the character is a normal human with pistol and melee weapons only, which this makes the player feel nervous and scare when encounter a zombie. What makes zombies really scary is they carry diseases that can’t be cured, and human can die when gets affected, which this brings up the point I mentioned – disease and death. 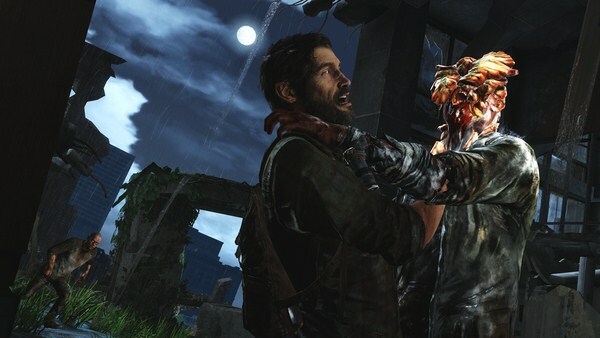 While The Last Of Us is more onto action and adventure, The Walking Dead is more approach to humanity test kind of game. When players go through several chapters of the game, players will get to know other characters and build connection with them. What really makes the players feel strong emotion is when they get to decide which ‘friend’ they should save or should they kill ‘their friends’ who bitten by zombie. Emotions like anger, when players encounter betrayal friend; sadness, when they can only watch ‘their friend’ being killed; happy, when players get to save ‘their friends’, are all because of how players relate these situation in their reality life. Why should I care about the characters? This question people might ask themselves. If I am playing The Walking Dead, and I get to know the characters and their stories, then why should I have to save ‘them’ or feel empathy for ‘them’? Why care? In terms of psychology, scholar researchers found that anything that moves will draw our curiosity in finding out the truth like it is doing things for a reason, that it has got it’s own desires, goals and plans. Even just a block moving around a screen will cause us to create some sort of story. When we see something that appears to move with purpose then we start to impute emotions to it. This is what humans associate with agency and this what makes them feel real. In order to attract the audiences eye sights, the ‘block’ needs to be designed the appearance, the background story of it, so the audience can keep curiosity on the character they control. Without the background story of the character, audience will lose the interest in playing the game in a short time of period. Example like the main character of The Last Of Us has a sad background story and the character is a human being, we as a human will also feel empathy to that character, especially that character has tragedy story, we feel curiosity on what will happen next for this character. Human character + interesting background story = ultimate realistic narrative element. Since I want to make a realistic kind of narrative, these information is helpful for me, however I would like add some fantasy element in it like magic spell. The game that is only projected a realistic life of blind person going through the journey, is a bit serious and dry. I want the game sends the message of we as by standers can add a bit of magic in blind people life by helping them, it is message of hope and inspiring. Instead of the narrative, art style also have to bring certain meaning to it so the overall will seem to be connected.